The first Aluminum cast pot was made in Hiroshima in 1953. During that time people were switching their cooking systems to gas stoves. It was also a time when families got smaller with more people moving to cities and people didn’t necessary live with their entire families. Because of this, smaller cooking areas and tools became more normal. With this different way of cooking they wanted to invent a new style of cooking with new technology and this aluminum pot was born. 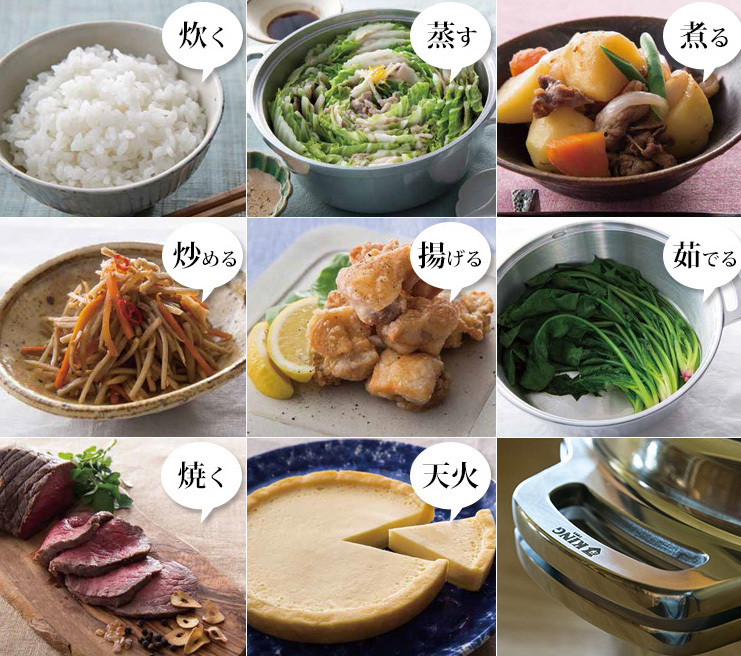 "MUSUI NABE" or “Waterless Pot” is the first cast aluminum pot from Japan that could cook with only the moisture that is already in the food itself, except for completely dry goods, this pot can cook just about everything and cook with limited maintance. 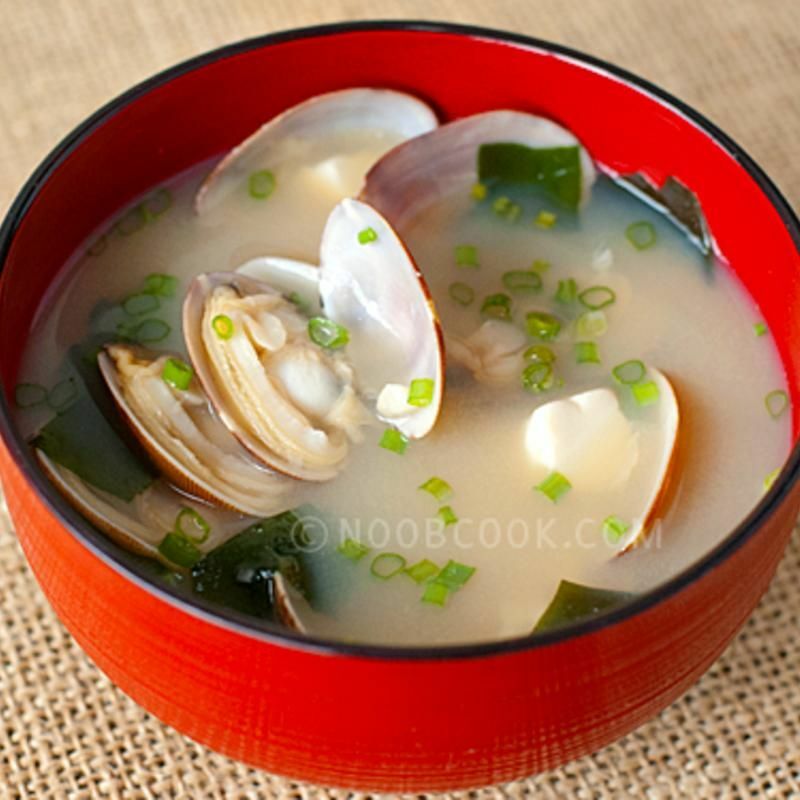 The MUSUI NABE, created a style of cooking fast and with good results in mind, and performs the eight actions of boiling, cooking, steaming, poaching, grilling, frying, stir frying, and deep frying. Even cakes, pies, muffins, etc can be cooked inside this aluminum pot. 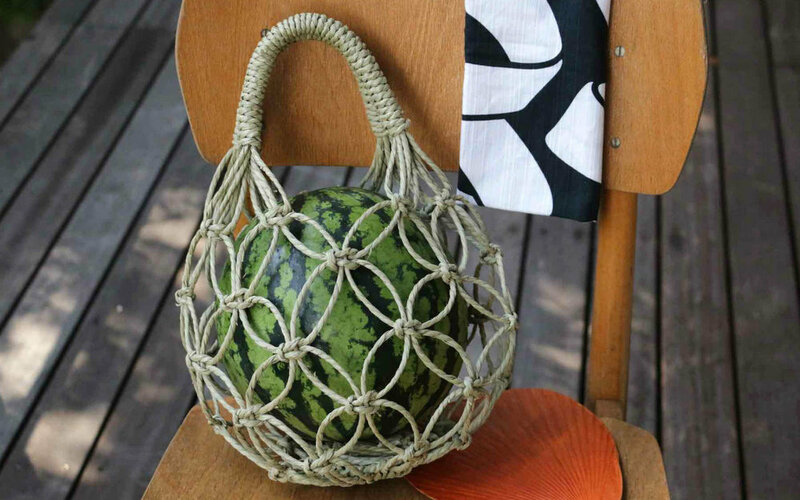 Since its release, it has been the best selling thick cast aluminum pot, and many families have been passing it down for generations. In 2018, two new series called “KING” and “HAL” have been released under the brand. With proper care, this pot will last long and feed you and your family for years to come and be passed on to future generations as well. Because of the design of the pot and the way that it so tightly cooks, food is cooked well and quickly without having water to slow down the process. And because it is not necessary to use water, you can keep the nutrition in vegetables and foods because it isn’t boiled out in the water. Also, because of the way that this is heated, you can turn off the gas or electricity and in the end you are saving energy. More than 60 years since its establishment, the know-how and techniques that OKUYAMA MERIYASU has cultivated, they are still alive in BATONER’s products. When broadly classified, knitwears are completed in five processes of knitting, linking, stitching, pressing, and checking. BATONER’s craftsmanship manifests itself by combining one of the best machines in the world, handwork that has not changed since the old days, and the experience and knowledge of the artisans. BATONER’s mission is to handle the products with care without losing focus from yarns that are raw materials until the moment it is delivered to their customers. 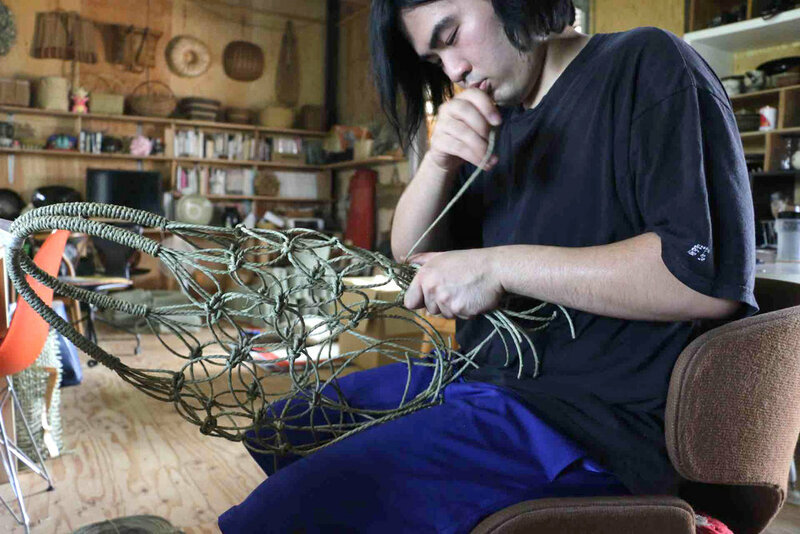 The knitwear brand, BATONER was created in Sagae City, Yamagata Prefecture in 2013. It started as a brand of OKUYAMA MERIYASU. Yamagata Prefecture is known as the production area for knitwears as well as an area where the tradition of craftsmanship is very strong. Unlike bigger cities where people want to work in front of a computer or something that looks glamorous , Yamagata still has many old companies who apply themselves to one craft to achieve perfection from learning from masters and also with the goal to keep this tradition alive through generations. Batoner has been in charge of various Maison brands and apparel makers. It manages all the processes with high-quality from raw materials to products and completes the knitwears sent out to the world. Keeping a good sense of design and trends, it is nearly impossible to guess that their factory is based in the countryside. 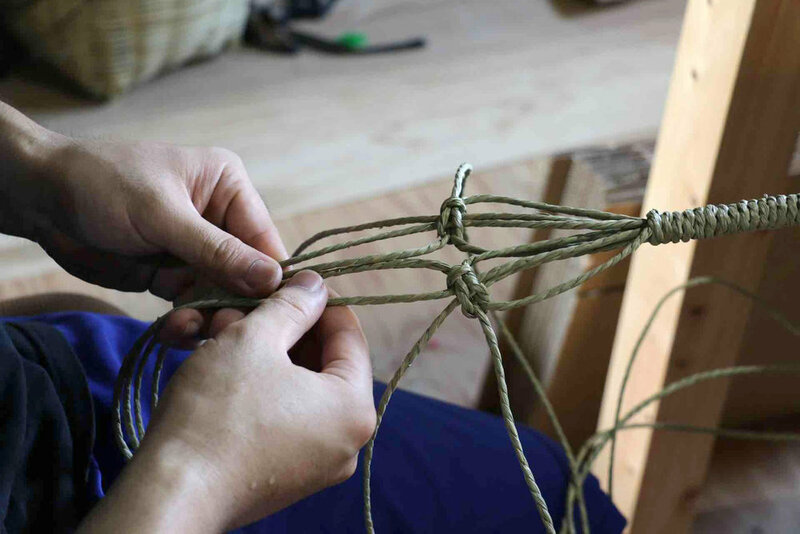 They continue to create apparel that will be passed on to the next generation, having the motivation to pursue higher quality and the technology and tradition Japan can give to the world. 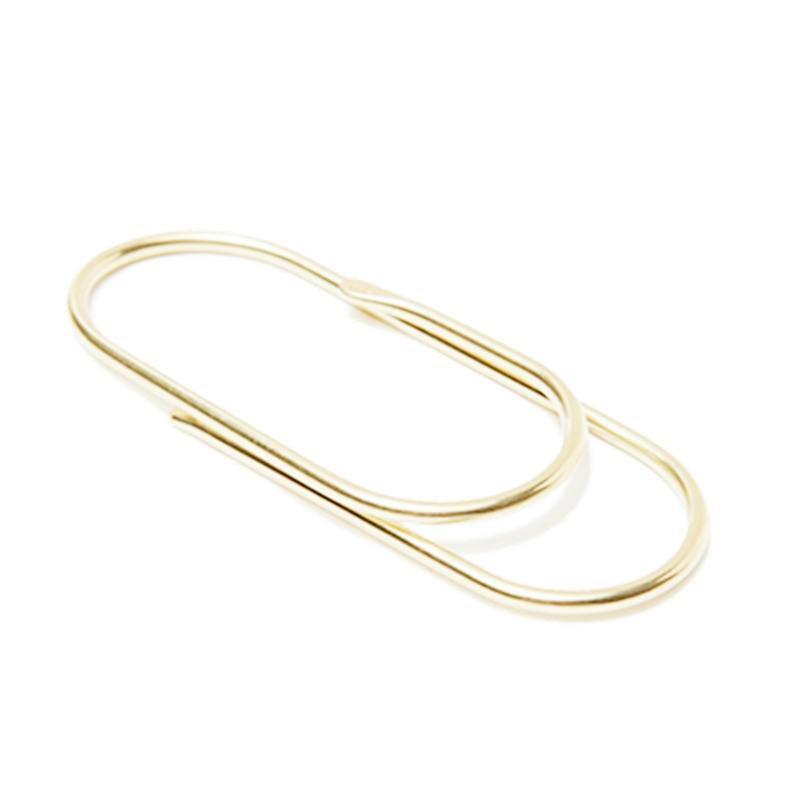 Each product is made with a mix of history, modern technology, and the meticulous attention of dedicated craftsmen. Please treat these garments delicately when cleaning them. With proper care you will find that they will last you for many years. Knitwear can be worn for a long time when it is diligently maintained using accurate knowledge. 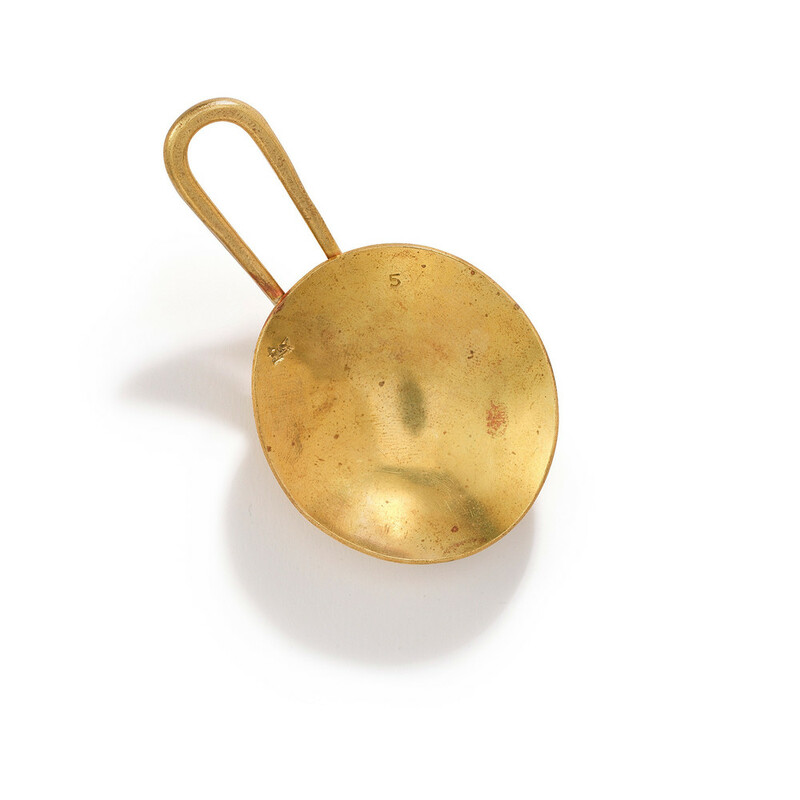 Pilling becomes less likely by brushing it without rubbing it as if removing the dust. It is also important to rest it if after wearing it once. Mildew can be prevented by storing it after diffusing the absorbed moisture. When washing it, please carefully check the washing graphic display. 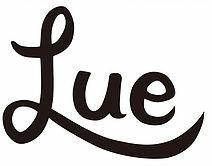 We are very honored to carry their brand at our store. Please come visit us to see and feel the high quality of Batoner in Black, Gray, Turquoise, and Navy Blue.. Kit Kat’s were introduced to Japan in 1973 when Rowntree's made an agreement with Fujiya. In 2014, they were the top-selling confection in the country. The Kit Kat brand took the number one sales position from Meiji chocolate in 2012, though Meiji remains the leading confection company in Japan overall. We have very few for a limited time so come to the store if you want to discover them. There are many essential differences between shochu and sake. 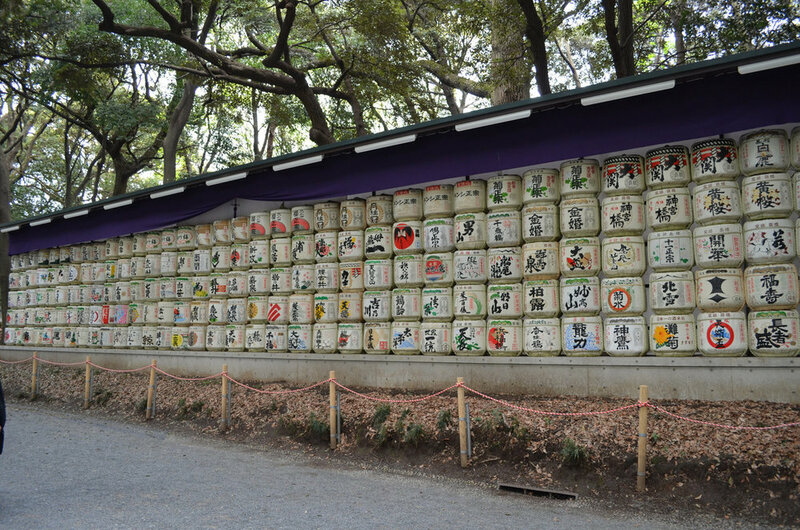 Shochu is distilled; sake is fermented. Sake is made from rice; shochu can be made from sweet potato (imo), barley (mugi), rice (kome) and other ingredients. 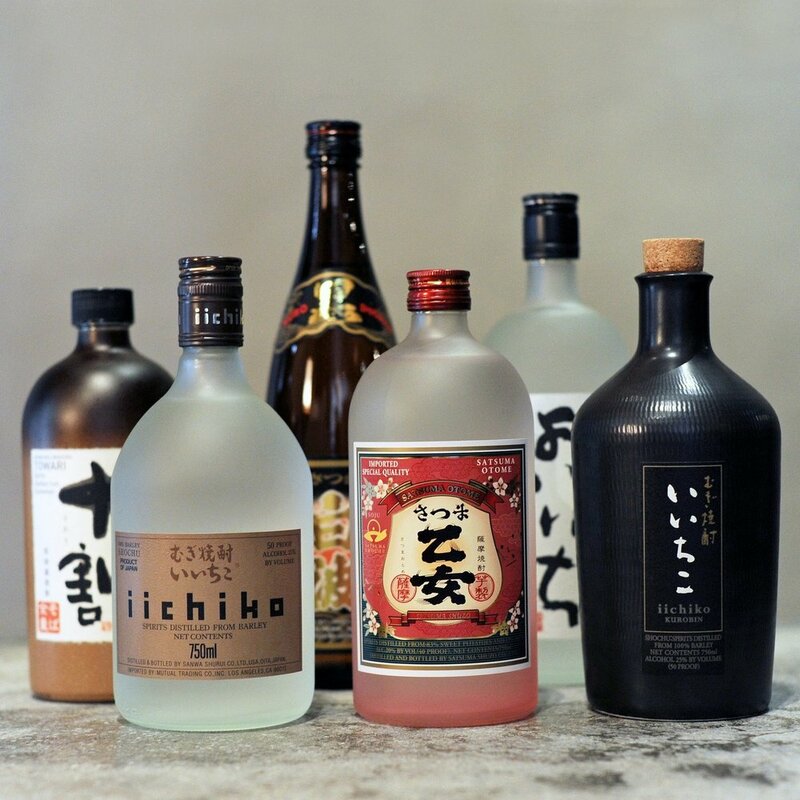 While Shochu is occasionally referred to as “Japanese vodka,” not only is this misleading, it also doesn’t do Shochu justice. The taste of Shochu is closer to “Brazillian Cachaça”. We typically have shochu on the rocks. Or with grapefruit juice or lemon juice or Oolong tea., these can be bough in typical “Izakaya” style restaurants or in bars and also at convenient stores. In convenience stores they are called “Chuhai”. The taste between Shochu and Sake are very different. Shochu has a much stronger taste whereas Sake has a lighter taste. We usually choose to drink on or the other with a meal and not mix them. As with making any great beverage, making great sake starts with sourcing the finest ingredients. Sake is made essentially from water and rice, with the help of important catalysts yeast and koji spores. Koji spores are dusted onto some of the rice in order to convert rice starches into sugar, which is consumed by yeast to create alcohol. Good rice must be used and very clean river water. The soaking process is very important as well. A carefully measured amount of rice is washed and soaked in preparation for its steaming. While large breweries in Japan would normally (that is for all but the finest brews) measure, wash and soak rice for brewing by various machine processes. The best traditional way is by rice washing bags and tubs to achieve the perfect pre-steaming consistency, which is judged by texture of the soaked rice using the hands and experience of the brew-master rather than a simple calculation of time. After the washed and soaked rice is at the perfect condition for steaming, the rice is hand-loaded into a rice steamer, which was manufactured in Japan especially for the production of small- batch sake rice for the highest quality sakes (large breweries use mechanized continuous steaming systems). Unlike rice for the dinner table, which is typically boiled in hot water either in a pot or automatic rice maker, sake rice is prepared by steaming, which allows the rice to maintain a firm outer texture and soft center, thereby helping the brewing process. Next is the Rice cooling process, when rice is taken out of the steamer it is very hot and must be cooled prior to being used in further stages of production. Using traditional methods of rice tossing and kneading to adjust the temperature, which also allows the brew-master to assess in detail the texture of the steamed rice and choose how to best use it within the brews. Koji Making: heart of a sake brewery is its “koji muro”, the cedar-lined room in which koji is made, which has a delightful aroma in addition to having natural anti-bacterial resins which help to create a clean environment conducive to efficient koji production. Koji making is a 48-hour process which involves the inoculation of rice with koji spores, careful kneading and control of temperature and humidity, resulting in very sweet and white koji, ready for becoming about 20-35% of the rice used in the production of sake depending on recipe. The operating temperature in the koji muro is typically 30-32 degrees Celsius, which makes for a challenging work environment for the brewery staff. Once the first batch of koji is ready, it is time to start mixing it into chilled spring water and yeast in a fermentation tank, then adding steamed rice. The tank is filled gradually, in three stages over a 4-day period. This allows the yeast to retain its strength to keep consuming sugar and producing alcohol throughout the fermentation period, which typically continues for 21 days. Temperature within the fermentation tanks is carefully controlled using cooling jackets, as the sake’s pleasant tastes are enhanced by not allowing the yeast to act at its ideal productive temperature of 28 degrees Celsius, rather at a lower temperature ranging from 8-18 degrees depending on the stage of fermentation. The brew, called “moromi”, is carefully mixed by hand on a daily basis to ensure consistent fermentation. Each day tests are performed to check specific gravity, acidity and alcohol content. Pressing And Racking: Once the moromi reaches completion as determined by the brewmaster, it is drained by gravity into cloth bags which are placed in the traditional “Fune” press which works with gravity and hand-applied mechanical pressure (in a large commercial brewery the moromi is machine-pumped into a large accordion like hydraulic press called a “Yabuta”). The first juice of sake starts emerging from a spout at one end of the press under the natural weight of the filled bags, resulting in a light-and-fruity first-pressed sake known “arabashiri”. Gathering around the press and tasting the arabashiri is a reward to the brewery staff who have worked very hard to create the batch. It is also perhaps a treat to be savoured by those who visit our brewery on pressing days. Bottling: Once pressed and racked the sake may either be bottled immediately or temporarily tank-stored at close to 0 degrees Celsius. The dark brown color of glass is used to best protect the sake from ultraviolet rays, which may damage the sake’s flavor and appearance. We usually don’t mix sake with juice. There are different types, some are sweet, some are floral, but for most people that love sake we ask for “Karakuchi” which is a dry sake. Similar to the way people prefer sweet white wine or dry white wine. For dinner with friends it is our custom to start with “Nama Beer” which is tap beer. And when the food arrives we order sake or shochu, depending on the meal. Some people like to have “hot sake” in winter but it is not considered very good. Usually a very cheap sake is used and it is generally frowned upon. It’s not really bad manners but we wouldn't recommend ordering it. Hot tea is a better way to warm up. We also have sake at the temple for new years with the monks. In many temples you will find these. Some are small and some are very large. Our current selection of sake and shochu at our store is as follows, depending on the day and our stock. We also have sake tasting if you would like to sample it before purchasing. We also have “Ume-shu” which is a sweet plum wine. Sometimes we drink it with soda or tonic water. 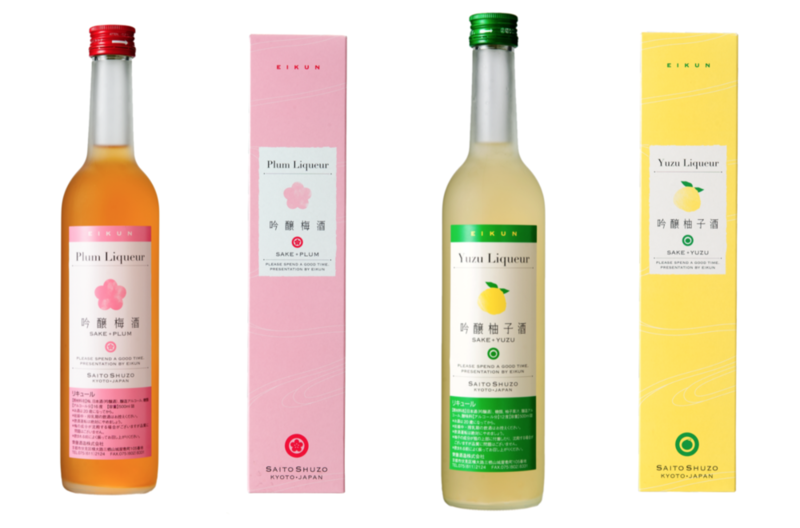 We also have Yuzu wine. Yuzu is made from a type of Japanese lemon. 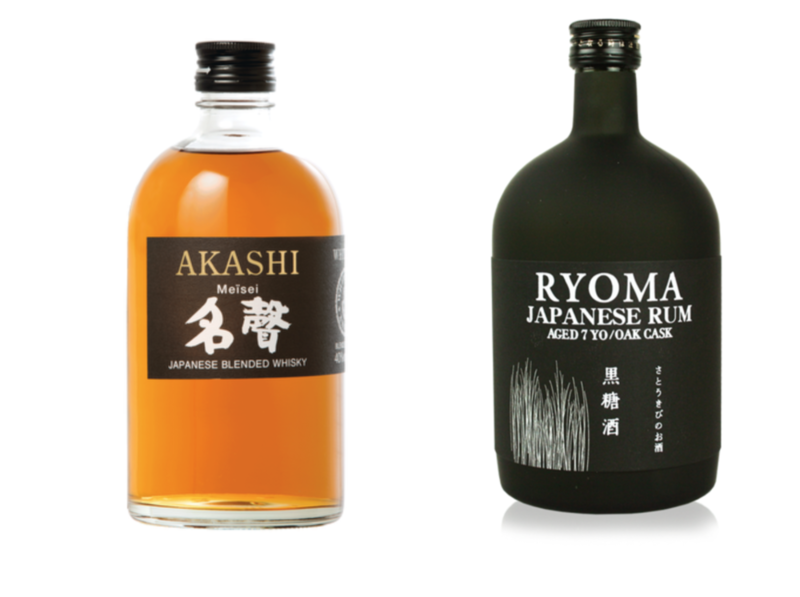 And for the late nighters, here is our selection of Japanese whisky nightcap or rum that we have. 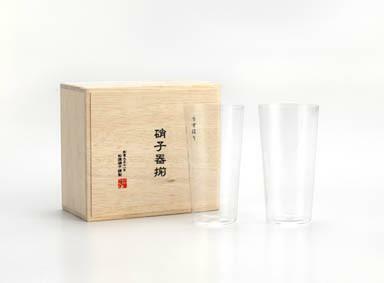 These remarkably thin drinking glasses are called "Usuhari", (Usu meaning thin and Hari meaning glass) are each carefully hand blown and crafted by craftsmen using the same techniques making light bulbs have been passed on through the company’s craftsmen. The thin feel of the glass in your hands, the sound the ice makes when it swirls in the cup and how fine the rim is are all exquisite and unique to this glass alone. This series appears to be extremely delicate but it can be handled with the usual care as other glassware. Dishwasher safe but with all glassware, treat it gently. First one step is necessary for everything. 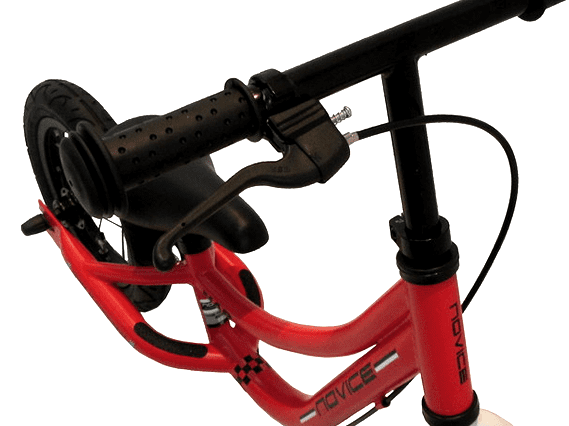 12 inches of kick cycles balance scooter. This is very easy for children to use with strong breaks. 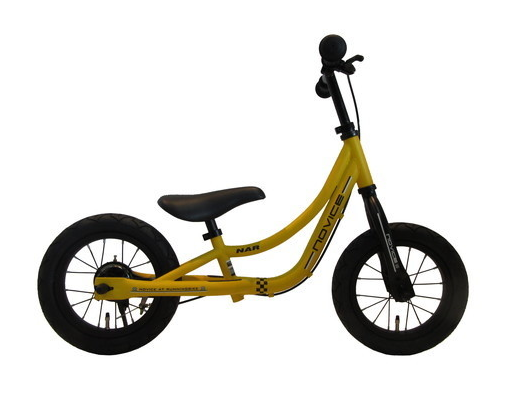 We recommend this for children 2 – 5 years old. 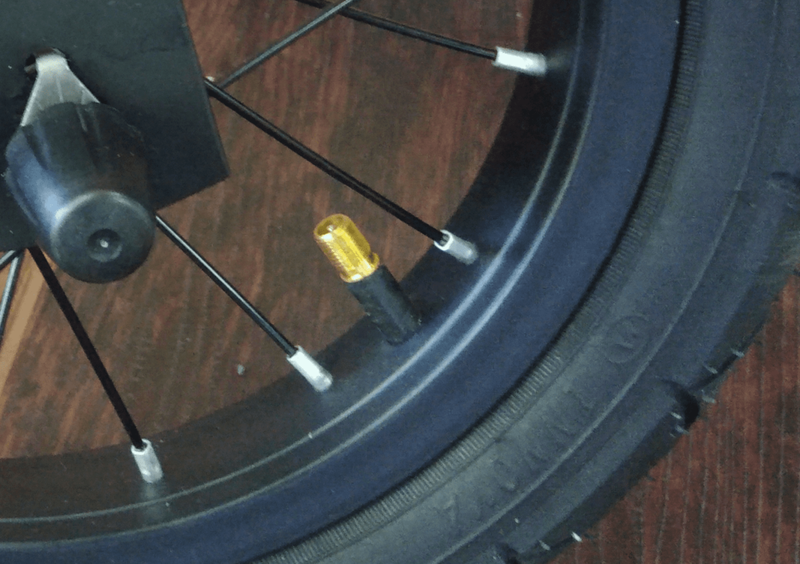 Air tire specifications are normal.The kick stand is not necessary but is used as an accessory. 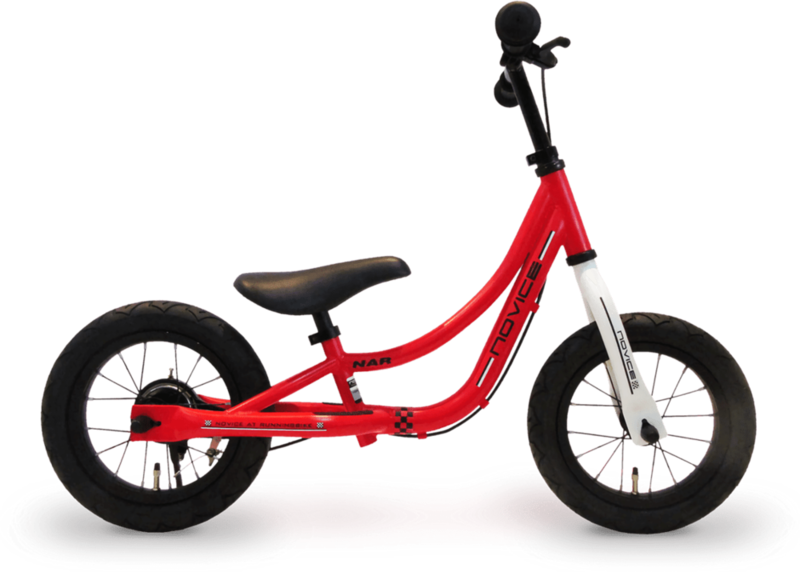 The bike can easily lean on the wall of the house. 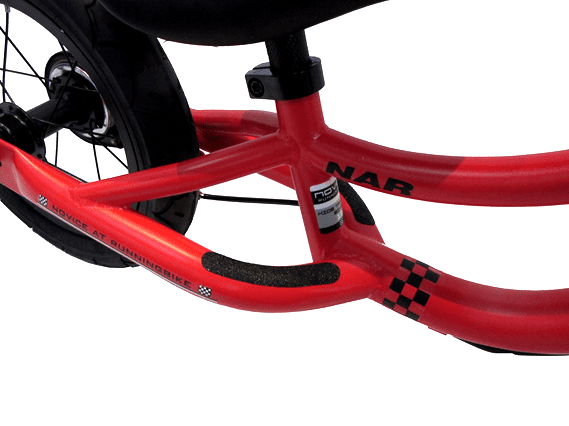 The brakes that the stop with the step are just in case the child starts to go too fast. 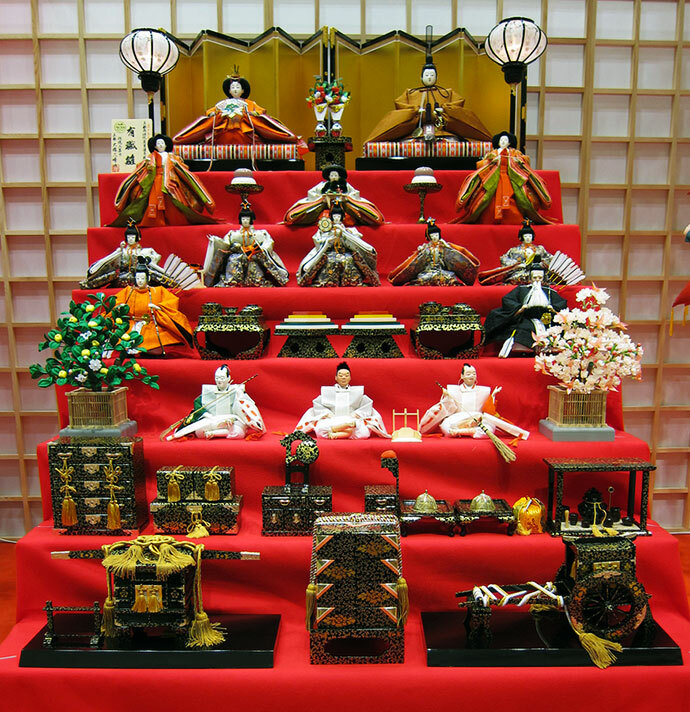 On March 3rd we have a day called Hinamatsuri. It's for wishing girls happiness. Dolls are bought every year to represent the emperors family. 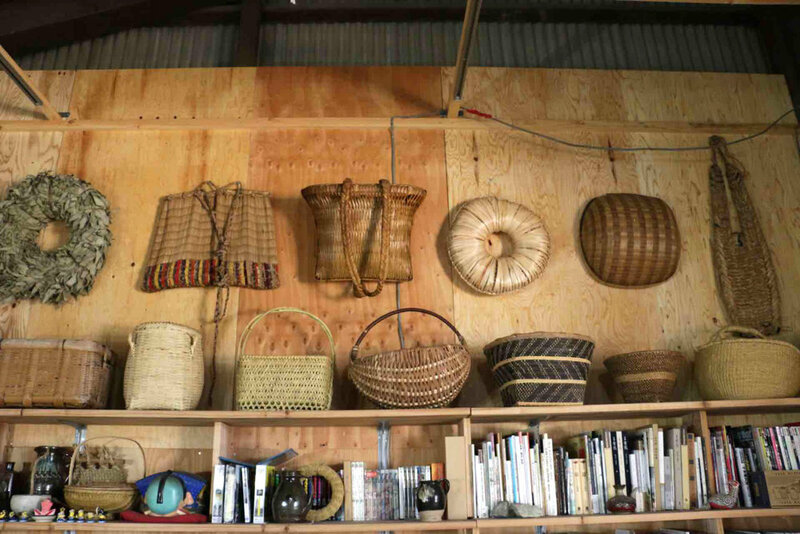 Over the years many rows are on display on March 3rd, as you grow each year older each year, your collection expands, usually given to you by your Mother and Grandmother. For instance, rabbits represent that girls grow to be kind. Hydrangeas mean family’s bond. Carrots mean health. Tsurushi-bina” makes small doll and “Okazari” (lucky motif) with “HAGIRE” (small cloth). 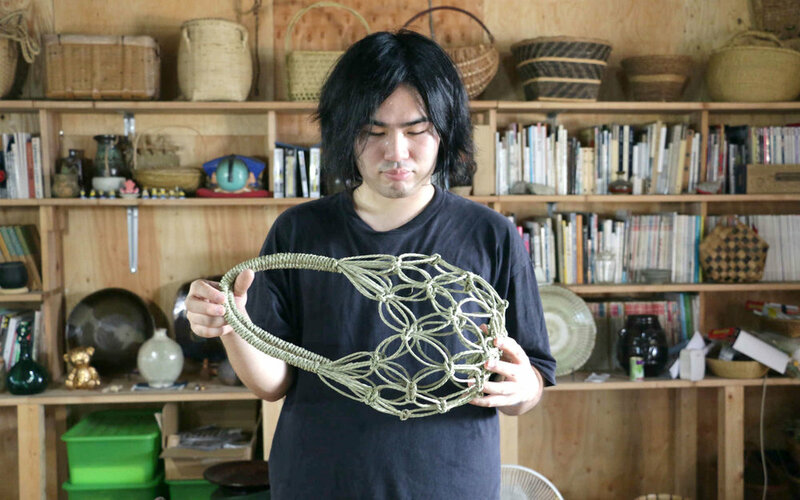 It”s hung on red string from a circle of a thin bamboo stick. Each doll and “Okazari” contains wishes one by one. 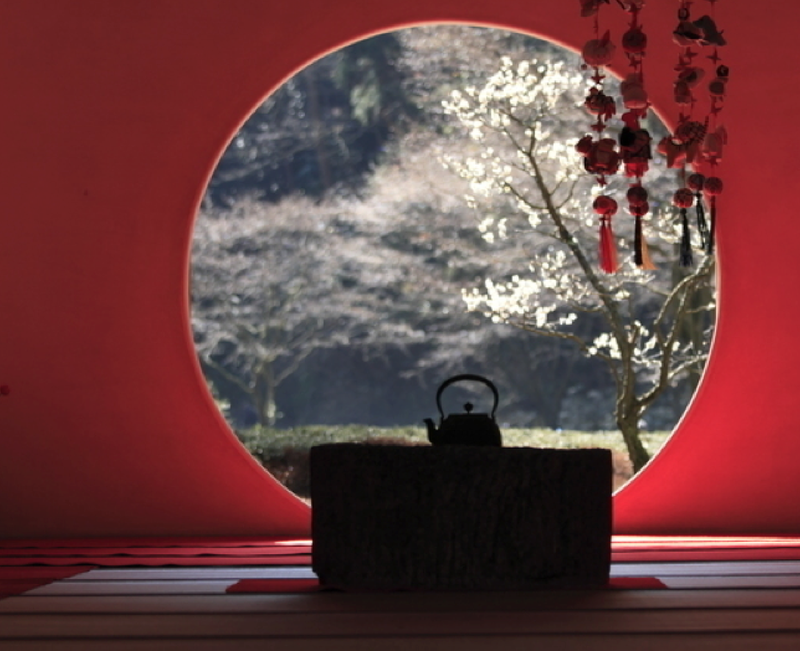 ・Peach: Amulet, longevity and prosperity of descendants. ・”kinchaku” (wallet): Don’t trouble about money. ・Book: To be able to read and write. 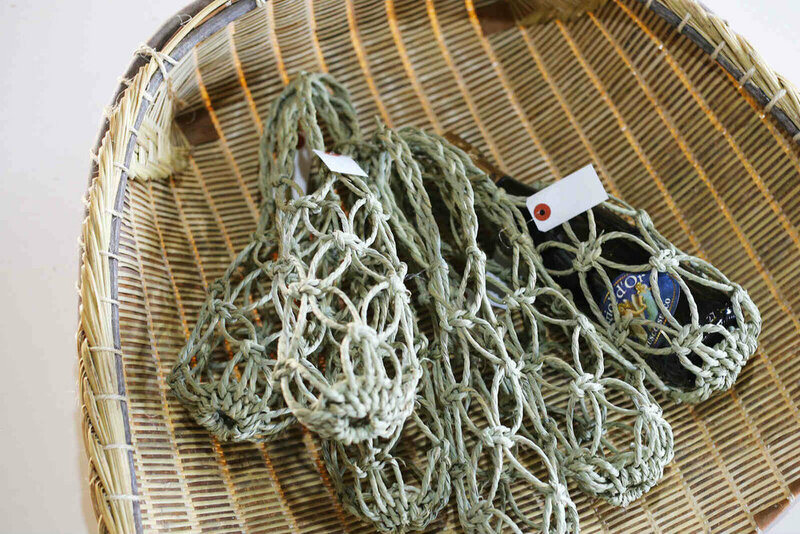 It is said that “Tsurushi-bina” has 110 kinds of motif. There are three famous birthplace of “Tsurushi-bina”. And, its names are different in the birthplace. If a mother, a grandmother, friends, and even neighbors want to wish a happiness of a new born girl baby, each makes a small doll. 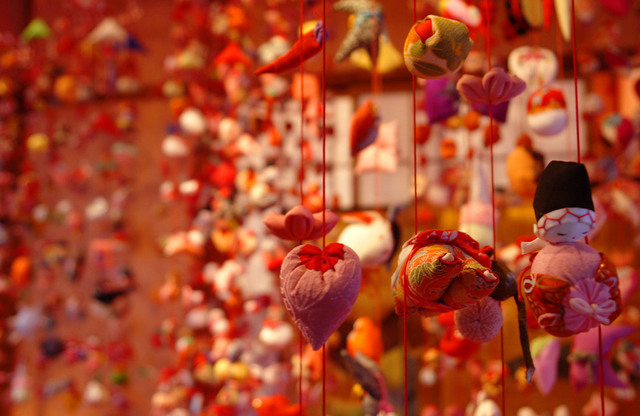 Then they suspend those dolls on a string, “Tsurushi bina,” which become an amulet for a new born girl baby. A dog doll stands for a wish of a healthy baby as well as a charm against bad luck. A flower of Japanese plum stands for a wish of growing beautifully just like a flower. “Haikoningyo”, a doll of a baby crawling, stand for a wish of a baby to grow up bravely by crawling a lot. A strawberry doll stands for a charm against bad luck. 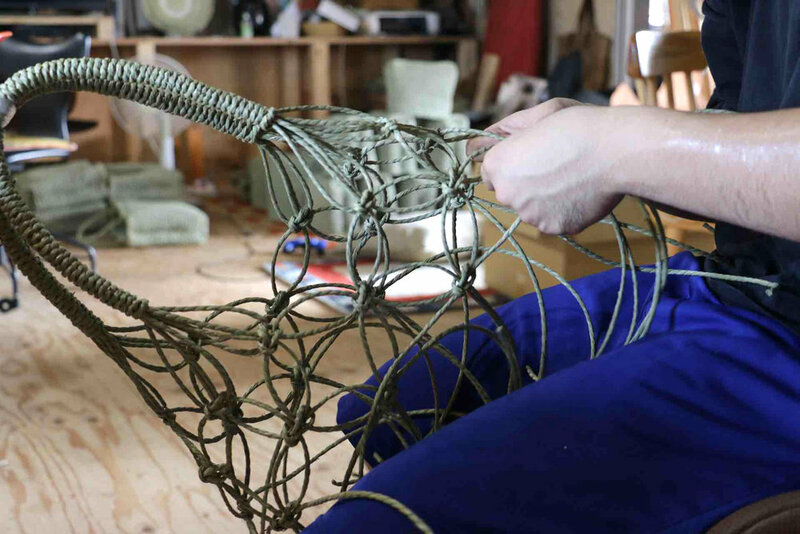 “Harukoma”, a doll of a horse, stand for a wish of growing bravely and playing fun as well as having a steady work when she grows up. “Houzuki”, a doll of a Chinese lantern plant, stands for a wish of avoiding feminine ailments. 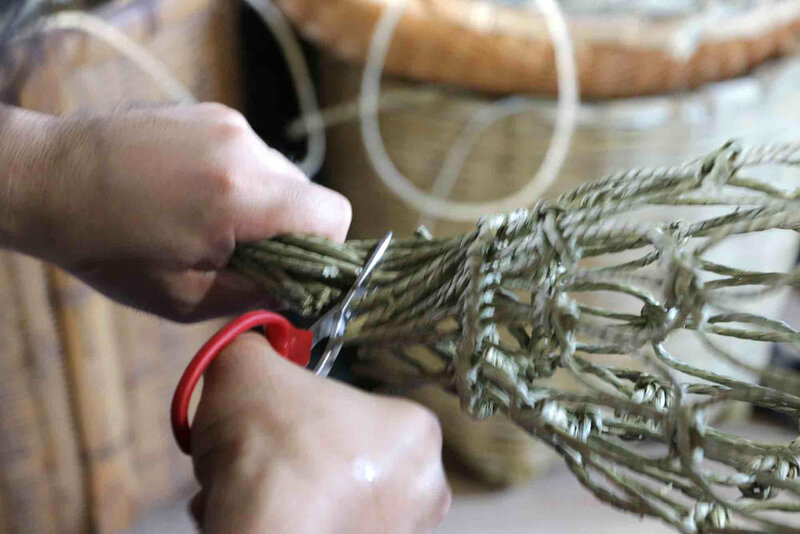 There are some types of Tsurushi bina, to hang, to put on the floor and so on. We can choose them according to the lifestyles. Making small dolls and putting them together to wish happiness of the baby is one of the beautiful cultures in Japan. Miso is a fermented salty bean paste, which constitutes the base of Japanese food. 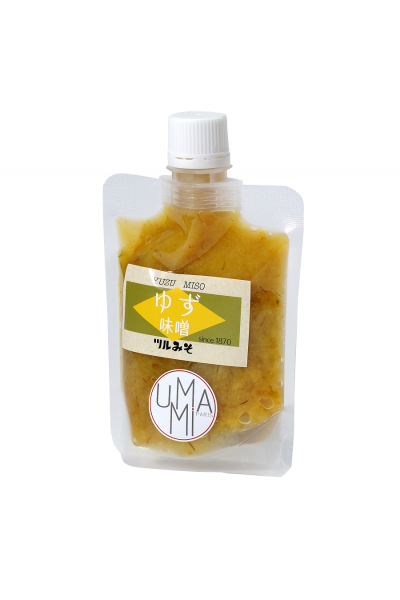 This miso is flavored with yuzu. It can be used in sauce or marinades and can accompany meats. As its name suggests, Tsurumiso is a miso-producing company located in the small town of Yanagawa in Fukuoka County (Kyushu Island). Yanagawa is a pretty little town crossed by a multitude of canals that can be traveled on small boats. The historic Tsurumiso headquarters, existing since 1870, is housed in an old red brick building bordering one of the branches of the Yanagawa canals network. And once you have tried a few to experiment with, feel free to try with other recipes. Have fun in the kitchen! Conspiracy theorists will be disappointed to learn that there is a very practical explanation for how these shapes emerged: science. Specifically, it was the result of a scientific experiment that spanned close to 50 years. 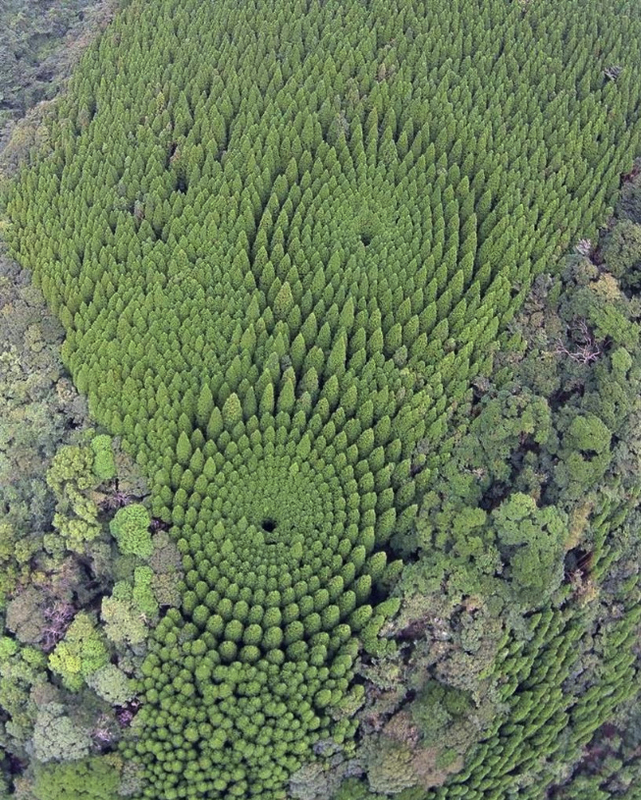 In 1973 an area of land near Nichinan City was designated as “experimental forestry” and one of the experiments was to try and measure the effect of tree spacing on growth. The experiment was carried out by planting trees in 10 degree radial increments forming10 concentric circles of varying diameters. 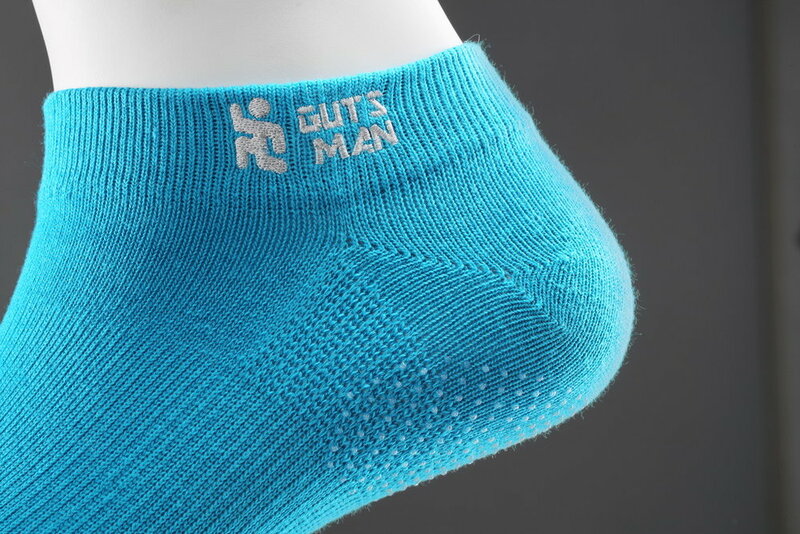 The strong brand of socks for a sports and running. 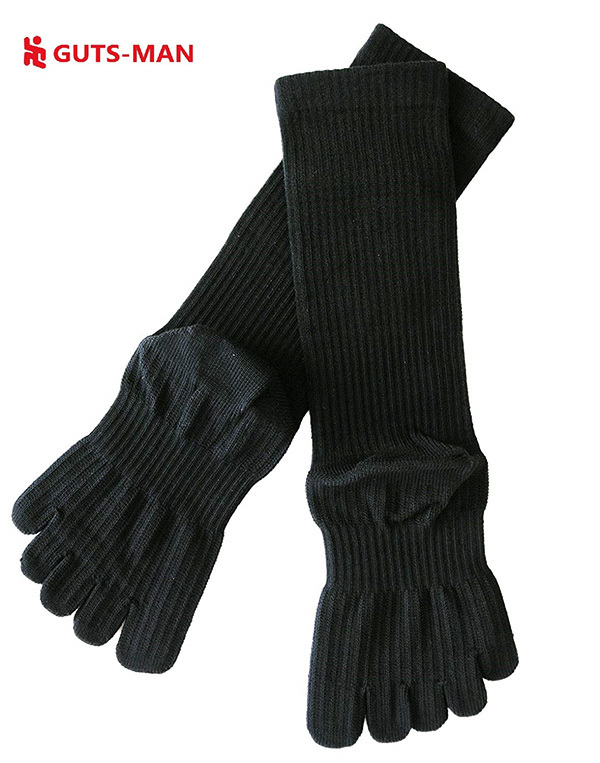 Technology of strong five finger socks is used and five finger socks were developed for running. There are many reasons for this, the most obvious being so that your toes don’t rub up against each others causing blisters. Toe socks also provide better balance in general. When Japanese builders work, they use “Tabi shoes” and toe socks for better balance. Gutsman has a large selection of rich color variation and variation. The company encourages you to use these socks for not only marathon and running, but also for walking, yoga, pilates, training, and golf, etc. These socks are also made so with anti odor qualities. Uses patented "mu-func." thread, which has anti-bacterial and deoderant effects. 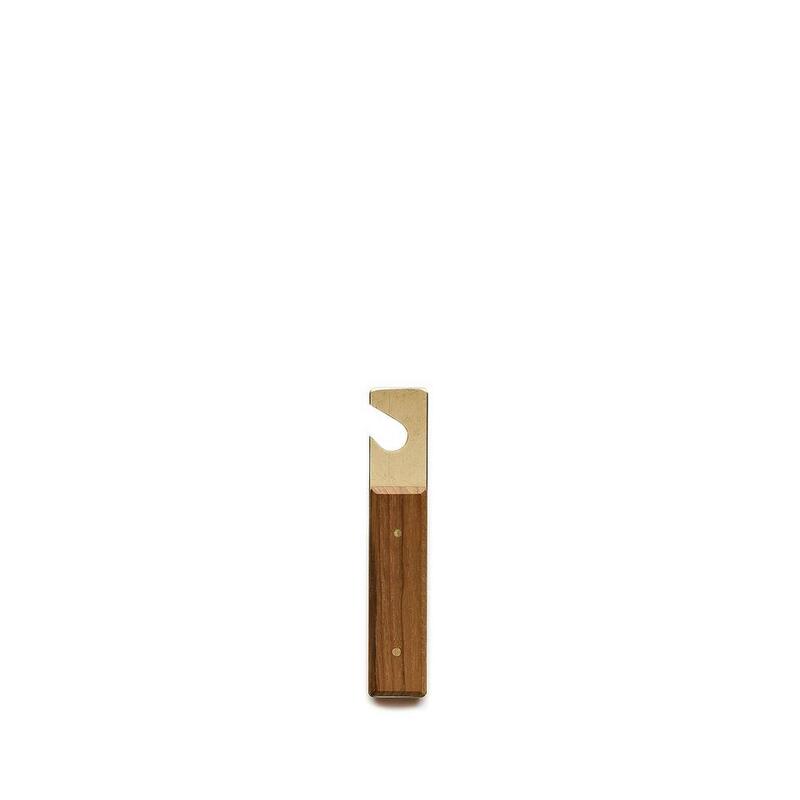 The seam around the toe is strategically placed on the outside to prevent friction and callusing. Tapered leg area to encourage better blood cirulation for exteneded wear with high-top boots. The support of the arch is also very important in the design. Reinforced with pile in high friction areas (heel, sole, toes, ankle) for increased protection. Both high socks and ankle socks are available.